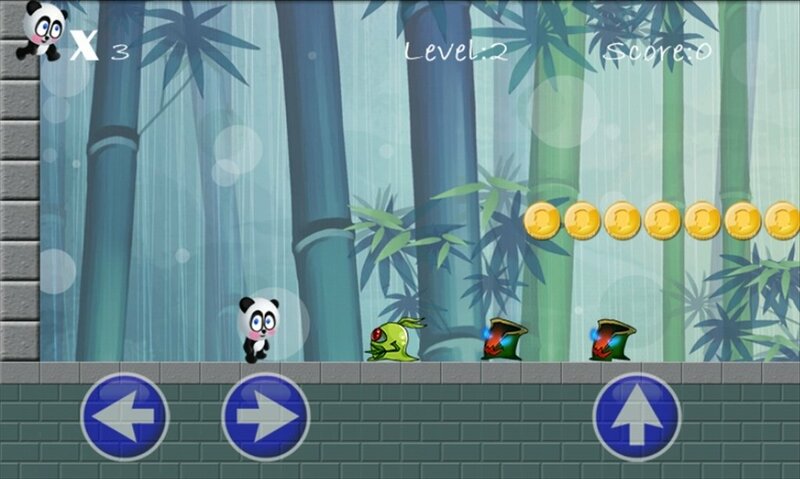 If you're into games similar to Super Mario Bros, you can now have fun with Panda Run. In this platform game we have to help a small panda to find his way out of the bamboo forest. 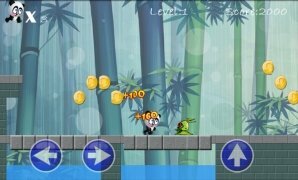 On his way he has to collect all the coins he finds, and wipe out all the monsters he comes across. 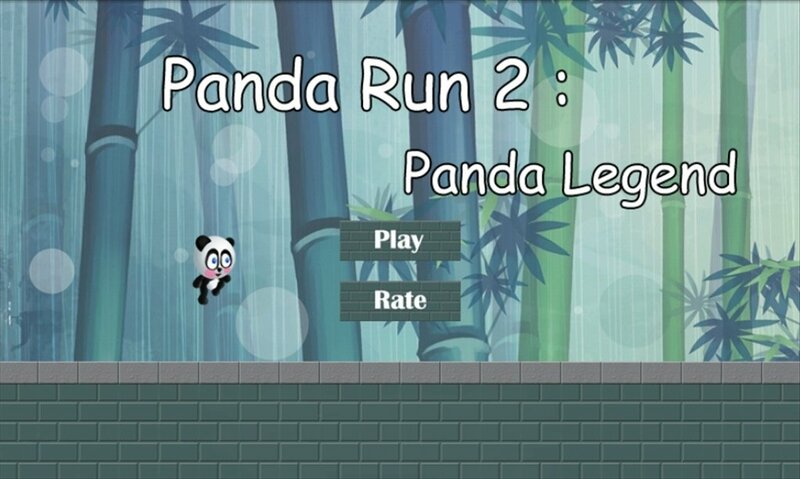 Panda Legend: the story of a brave panda bear. 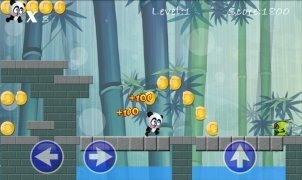 In Panda Run we'll guide a small panda bear through different screens, helping him to jump and dodge all the obstacles, while we collect all the coins. 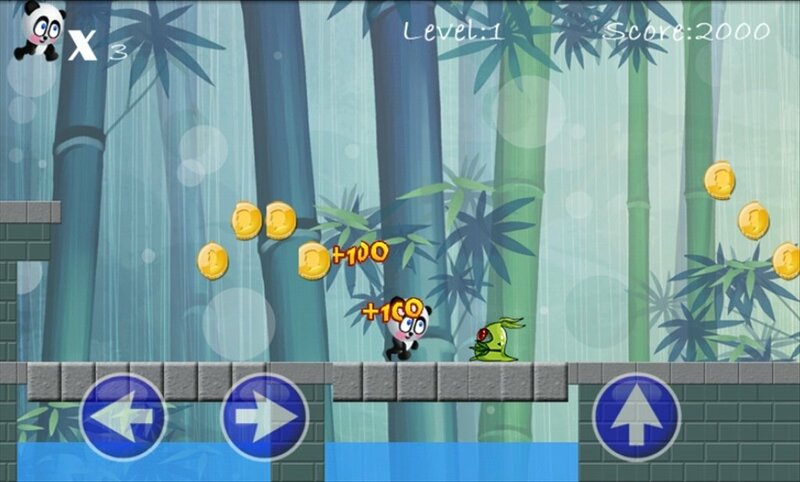 Furthermore, we'll come across monsters that we have to kill to continue playing. 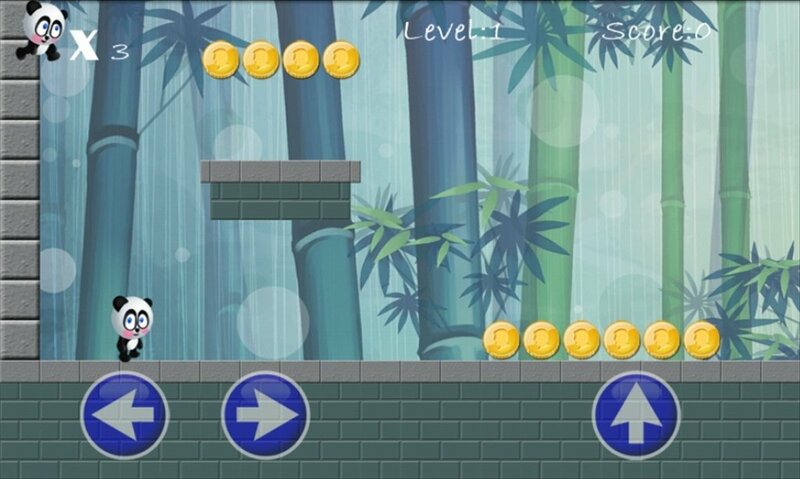 The more coins we have, and the more monsters we kill, the higher our score will be. 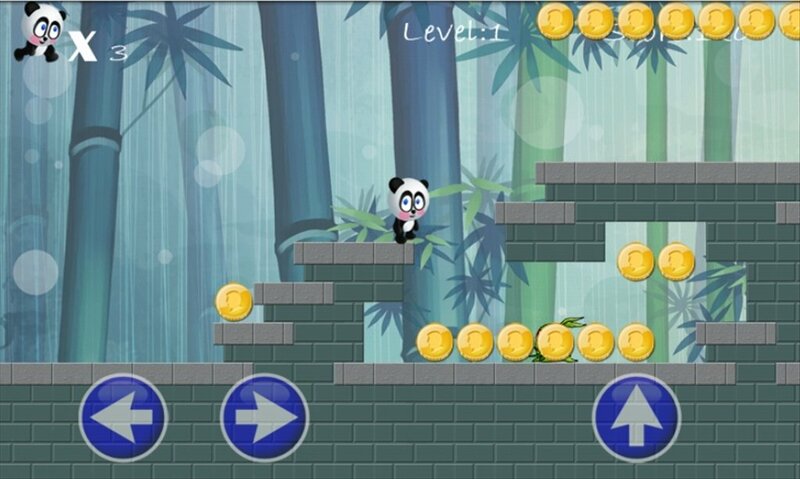 To control the small panda bear we only have to tap on left, right and jump buttons that appear on our screen. 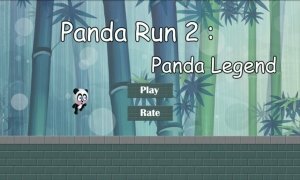 Have a good time playing Panda Run 2: Panda Legend. 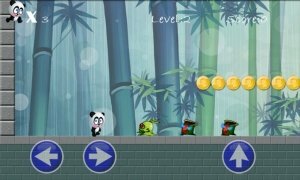 An entertaining adventure without too many complications.